I don’t get many cold calls these days. Today, I did. Two, in fact – about five minutes apart. What struck me, as with most of these calls, is the perfunctory, scripted and energetically flat, “how are you today?” immediately after the caller states their name and company. So, let’s take a look at this phenomenon from the perspective of how we meet and greet others at work, at home, at play and in relationship. If you look back on your day or your week, can you recall moments when you asked someone “How are things going?” “What’s goin’ on?” “How are you today?” and the like? Do you recall their responses? And, the biggie, can you recall actually stopping and listening, really listening to their response? Did you probe more deeply when someone responded with more than an “OK” – type response? Were you actually interested? Did you feign interest? Were you respectful? Or were you sorry you asked? In our fast-paced, social media-driven world, we have a tendency to actually “diss” another even while asking how they are. Unconsciously, we assume that our perfunctory “what’s up?” or “How’s it goin’?” falsely allows us to check off the “did I acknowledge someone today?” box on my “how to have positive relationships” check-sheet. The energy reflects you who you are, what you are, and how you are in the moment. This energetic phenomenon is called intersubjectivity and it’s what occurs when two souls meet. It’s about how you’re feeling, not so much about what you’re thinking – although what you’re thinking will affect how you feel. The experience of intersubjectivity is what allows your own “interiority” or landscape, and that of the other. Intersubjectivity reflects the degree to which you allow yourself to open up so the other has a deeper sense and experience of you in the moment. What am I feeling like (perhaps using a metaphor)? What does the space in which I/we’re immersed feel like? What’s my experience of “ease of being” during the interaction? What’s my heart center feel like (not the physical heart, but your spiritual heart center area in the middle of your chest)? Am I “in my head” or somewhere else in my body? How connected to the other do I feel? What stories about this experience am I telling myself? How grounded (vs. “spacy”) do I feel? Do I have a lot of ego/mental activity going on? Am I trusting myself/the other right now? What’s my breath like, heart rate? Am I sharing my truth? Do I feel I’m being influenced by the other? Am I feeling authentic? Do I feel I want to be in this interaction? Am I needing to be/feel accepted? Do I feel supported by my Higher Self? Focusing on the quality of the space between you can and will – if you’re intentional and sincere – help you know yourself, who you are, during interactions. It’s as if the “content” is irrelevant; the “context” is everything. Intersubjectivity allows for “personal-ness” – a quality sorely missing from many of our daily interactions – at work, at home, at play and in relationship. So, if you don’t mean it, or don’t care, then don’t ask. How would you describe the “space” between you and those people with whom you interact regularly at work and at home? Do you, consciously or unconsciously, distance yourself from others (through avoidance, being antagonistic, etc.)? Do you often feel “separate” when in dialogue with others? When you’re in dialogue with someone whose good, or beauty or truth you can’t see, how can you “warm” the space between the two of you? If someone attempts to create a “safe space” between them and you (being open, honest, authentic, etc. ), how does that make you feel? Did you experience the quality of intersubjectivity as you were growing up? What about in your life now? (c) 2015, Peter G. Vajda, Ph.D. and True North Partnering. All rights in all media reserved. I’m grateful for the opportunity to share this reading with you and I hope you find it insightful and useful. Perhaps you’ll share this with others, post it on a bulletin board, and use it to generate rich and rewarding discussion. What is the one thing that is keeping you from feeling successful, happy, confident, in control or at peace as you live your life – at work, at home, at play or in relationship? How do you experience curiosity? Does curiosity show up in your life at work, at home, at play and in relationship? How so? 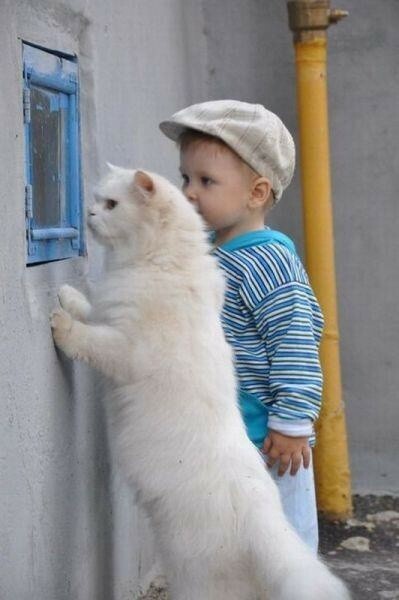 Curiosity is timeless; it always was and always will be. It transcends race, religion, politics, finance, culture, bias and prejudice. Curiosity allows us to look beyond our eyes, “out there,” and to arrive at a place of originality, newness – a basic reality from an untainted perspective. What curiosity does is allow us to see new truths, truths that support the evolution of our selves, our communities and our institutions. At work – What is your vision-mission statement like? Do you have a strategic plan? What do you, and don’t you, budget for? Is there an active and engaged R&D effort? What about training and development? 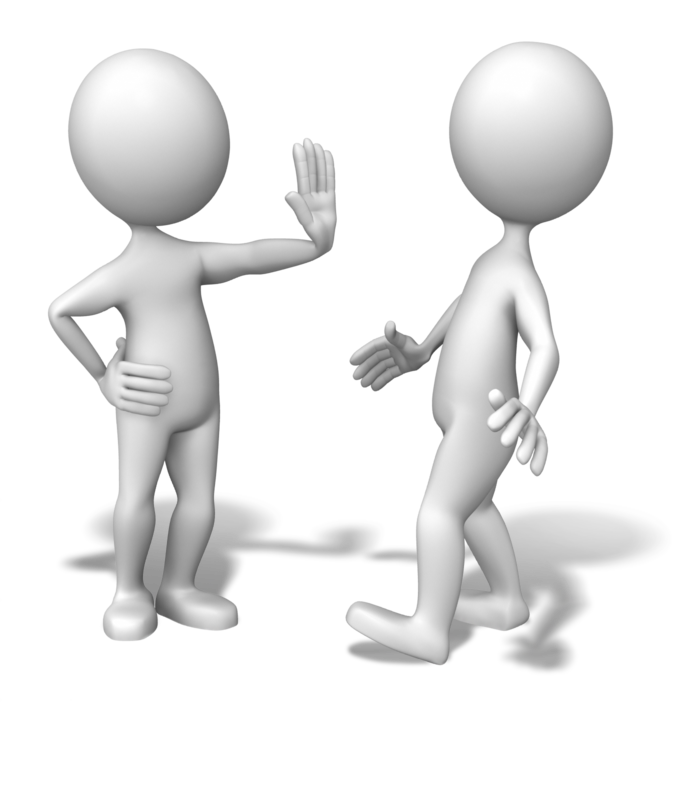 What is the culture around interaction and interpersonal communication like? How and where does curiosity grow and thrive? Are folks openly encouraged to “think,” reflect, discover, investigate, explore and try out new ideas? At home – What is your family’s mission statement? Are there shared values? How are the “fresh” and the “new” looked upon? Is spontaneity squashed by overbearing control, or routines and structure? Who is being creative? How are new ideas and fresh approaches to the way your family lives generated and/or looked upon? Whether at work, at home, in relationship or in the company of your own self, do you generally come from a place of having it “all figured out?” How’s that working – especially in these turbulent and challenging times? Is your life (personal, corporate) so mechanical that there is no room for curiosity or inquisitiveness? When was the last time you re-invented your business, your relationship, your self? How do you feel about the notion of re-inventing? Exhilarated? Fearful? As a young child, each of us was curious, the consummate explorer. We were open to the new, the magical, the aliveness and the wonder of life. We had no misperceptions, misunderstandings, misconceptions, expectations, “stories” or paradigms with which to view our world. Just curiosity, and wonderment. But, then, it stops. We are taught how to think, do and be in ways that are “appropriate” for good little boys and girls. The fortunate ones subvert the brainwashing, and find ways to allow their curiosity and wonderment to thrive. Too, as we grows older, many fall into habitual ways of living life. They tire and fall into the routine. Others resist the rut and choose to take risks, to look beyond the immediate and step off the well-worn road of the “tried and true,” the familiar, the comfortable, the “safe” and venture along a new path. That’s why it’s called a “path” not a paved road. Curiosity is a personal conversation one has with one’s self. Many today are having this conversation not only at mid-life, but at quarter-life – fueled by a lack of engagement and dissatisfaction; they are searching for a deeper meaning of life and re-evaluating their place in the grand scheme of things that fosters their curiosity. Unfortunately, there are individuals in organizations and relationships who want to “kill the messenger” – who see the “curious” as those wanting to “fix what isn’t broken,” wanting to upset “stability,” who see the curious as someone who just can’t leave things the way they are. The beauty of the curious is often they are not “experts” or consultants. They are just individuals with an inquiring mind – who inspire wonder, imagination, investigation and openness to the new. What often gets in the way of curiosity is hubris – an obsessive pride that reflects an “I know it all” approach to life and living – in corporate life and personal life. Hubris clouds the imagination, dims the light, closes down the imagination, stifles innovation and occludes realization. Many of our businesses and most of our relationships lack curiosity – the “secret sauce” of moving forward with a “different-ness” that serves to promote a healthy sense of thriving, renewal, regeneration and maturation. Curiosity demands an innocence; few are willing to take on being innocent – fearful of seeing life with a “beginner’s mind,” or of allowing a “not knowing.” They need to have all the answers…now. The upside to the downside in both our current economic world and in our world of unhealthy and unhappy relationships is that the stress we are experiencing can serve as an impetus to be curious about how to “make this work.” For many, their stress is a motivator to seek positive change and transformation. It’s a healthy tension. Businesses and relationships are facing serious challenges. We need to be curious about, to wonder about where we are headed both in the boardroom and in the bedroom. Curiosity can lead us to “right knowing,” “right understanding” and “right action” – but only if we enter into the journey of curiosity with an open mind – free from any preconceived notions or expectations. Simple, but not easy. Does your organization support “curiosity?” How so? Are you one who needs to “have all the answers?” Are you a risk-taker? Do you prefer the routine? What was your experience around curiosity as a child? Were your parents or primary caregivers curious? Did anyone ever frown on your imagination, your stories, your aliveness, your wonderment? Did your parents or primary caregivers encourage your curiosity and imagination? How so? Could you allow yourself to be a nobody? Credentials are a fact of life – degrees (even honorary), certificates, diplomas, titles, qualifications and the like are symbolic “badges.” Credentials have their place in life. Credentials support us to feel confident (even when we aren’t), and support others to feel confident in us. Credentials allow us to assume responsibility and accountability, and support others’ choices to allow us to lead, manage or supervise. Credentials communicate education and experience upon which others can rely. Where credentials get in the way is when they lead to obsession and preoccupation. Meaning? When folks are obsessed with their credential, when they are their credential, they’re always “on” – in formal meetings, in informal workplace gatherings, in water cooler conversations, with clients and other stakeholders, in outside-of-work social situations, even when shopping at the local retailer – their conversations and their interactions are largely motivated by their need for recognition, acknowledgement and their need to feel emotionally secure, to be seen as “somebody.” And, for this “somebody,” it’s all about “Do you know who I am?” “Do you recognize ‘my credential that is me’?” Often consciously, more often unconsciously. What would it be like if…? So, what would it be like to consciously choose to be a “nobody,” to explore and be curious about what we see about ourselves if we didn’t need to be “somebody?” That is, to be a “nobody” and show up authentically without the shoring up, the crutch of the credential? What would it feel like if we went through an hour, a day, a week, a month, a year, or a lifetime, without needing to be “somebody?” Just showing up as who I am, right here, right now, authentically? Being authentic in our life means, simply, “I am me.” Not, “I am my job” or “I am my credential.” Just me. What might that be like, look like, feel like, sound like? What might others be saying about you? Well, it might look like we own our mistakes. Or, we don’t become “too big for our britches.” Or, we don’t blame others for errors. Or, come across as arrogant, holier-than-thou, and super(wo)man. We shed the cloak of fakeness, phoniness and pretending. We allow ourselves to say, “I don’t know.” or “What do you think?” Or allow our embarrassment, our shyness or our vulnerability. As a “nobody” we become more interested in others. We let go of our ego. We are inclusive in thought, word and deed. We are open and accepting. We operate from “I am one of you” and “We are in this together for our mutual good.” We seek to understand before being understood. We stand back, inquire, observe and listen. We walk in others’ shoes. We let go of power, status, title, privilege and qualifications. We move away from “center stage” to “stage right,” maybe even move to being “behind the scenes.” We allow it to be OK to not need to be “the expert.” We become servant rather than master. We become flexible rather than rigid. We come from our heart in addition to our head. We become less important rather than self-important. In essence, we add a “spiritual” component to “who I am” and “how I am.” In a way, we become invisible. We get out of own way. We become “quieter” – more self-reflective, more self-observant. In a word, humble. Humility, being a “nobody,” means looking up at the vast, vast Universe and knowing…that I’m not the center of it – regardless of my credentials. Do you rely on your credentials to be seen as “somebody?” Do credentials, yours or others’, get in the way of your relationships? Are you ever jealous of others’ credentials? How so? Do you ever feel like a “nobody,” or deficient, because you lack a certain credential? What would a next credential “get you?” Do you feel like a “nobody” without it? Do you use your credential to behave like a “know-it-all” or an expert? Do you ever use your credentials to mask weakness, or deficiency? Do you keep your credentials in a proper perspective? 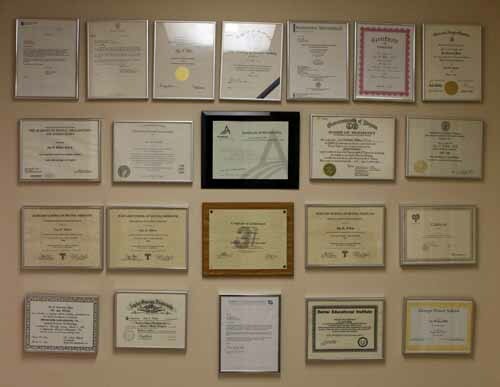 Do credentials line your walls? If so, why? Would you feel like the same person without one of your credentials? How so? What would it be like to practice being a “nobody” next week, in thought, word and deed? Do you always need to be “on”? If so, why? Are status and title important to you? How so? When do you feel like a “nobody” and a “somebody”? How often do you feel you show up authentically? How were credentials perceived in your family as you were growing up? (c) 2015, Peter G. Vajda, Ph.D. and True North Partnering. All rights in all media reserved.I’m grateful for the opportunity to share this reading with you and I hope you find it insightful and useful. The notion of “workplace violence” usually points to the physical harm one inflicts on another. For me, there’s another example of workplace violence that is just as, if not more, threatening and hurtful – workplace gossip. I define gossip as any language that results in another’s experiencing pain, suffering or confusion and used when that “other,” to whom it’s directed, is not present. Over the years, I’ve experienced hundreds of workplace situations where gossip was “business as usual” – part and parcel of the culture. In a number of these instances, many individuals would say they were “against” gossip. Moreover, even those who has attended formal meetings to explore the “gossip issue,” or after sensitivity training sessions intended to reduce the number of gossip incidents, or after organizational mandates that “no more gossiping is permitted,” and even after folks “signed the pledge” to speak openly and directly to colleagues and co-workers to reduce the “gossip problem,” a fair number of these “committed to change the culture” folks continued to engage in gossiping. Why do folks commit to “no gossip” yet continue to engage in gossiping? Gossip is an attack which is consciously or unconsciously fear-based. Sometimes one’s commitment to not gossip is subsumed by their fear, anxiety or concern about who they might become if they stopped gossiping. What would I do (instead of gossiping)? Would folks ostracize me as “spiritual” or some other (in their perspective) pejorative? These are often folks who have a disproportionate need to be seen, acknowledge, liked, wanted or accepted, who need others to feel comfortable around them, and so acquiesce when approached to gossip. Why? Sometimes gossip takes the form of neutral, even positive, comments used to just create conversation about the life, work, or activities of another – but, outside the presence of that other. Stopping one’s self from talking about others can be very challenging, even painful. Why? Many folks have great difficulty being open, authentic and real, or allowing their vulnerability. So, as a defense mechanism, gossiping supports them to take the focus off themselves. Rather than showing up as their true, real and authentic self (warts and all) the practice of gossiping protects them from having to disclose their own feelings and emotions, from having to “open up” to others. Gossiping then becomes their way of not having to reveal anything about themselves. Most gossipers have lived life behind a mask, putting on false identities or personalities when they dress to face the world, always needing to protect themselves from allowing their authenticity. They feel frightened and threatened. The commitment to not gossip is not a mental or intellectual choice alone. To show up as real, authentic and sincere requires an inner intention that emanates from one’s inner sense of integrity and deep desire to be harmless as they live their life in relationship – at work, at home, and at play. Lacking this deep commitment to “doing no harm,” and to “stop gossiping” often falls short when one perceives it as a policy or principle imposed from without. This is often the reason (excuse?) gossipers use when they fall off the gossip wagon. A simple mental choice, absent a deeper, abiding and heart-felt commitment, is not sustainable – as is also reflected with other addictions. It’s not simply a mind-over-matter equation. So, at the end of the day (and throughout the day! ), the commitment not to gossip often dissipates rather quickly over time. Or, someone may be “upholding the rule” outwardly, but still be gossiping in their thoughts, still sending out hostile vibrations and energy, and just being “quiet” about it. Often, this covert behavior is even more dangerous and insidious. Unless we’re truly aware of the nature of our perceptions, our orientation to the world and the people in, the nature of our judgments of others, and the underlying nature of our emotions and feelings, we’ll be challenged to resist the urge to gossip. We can stop gossiping, but usually only when and if an inner desire arises from a deep sense of integrity and authenticity, and a conscious desire and choice to be harmless in our interactions with others. To free ourselves from the pernicious and insidious effects of gossiping and to free ourselves from inflicting harm upon others, we need to explore and heal the split between our outer and inner self. Only then can we live honest, sincere and self-responsible lives – gossip free – at work, at home and at play and in relationship. Why do I engage in gossiping or supporting others who do? Is there another way to get this same result without harming another? Does gossiping align with my personal values around respecting and honoring others? Would I repeat gossip I hear or create directly to the person it’s about? Would I want to be quoted on TV or in the papers or in the company newsletter? Would I encourage my children to engage in gossiping? Would I engage in gossiping it if it were about my partner or a relative or personal friend? Do I feel ethical when I’m gossiping?